Next in Drupal 8 we have CKEditor, which supplies the default wysiwyg that Drupal uses for the text editor. It's like a bridge between the third party CKEditor library and Drupal. 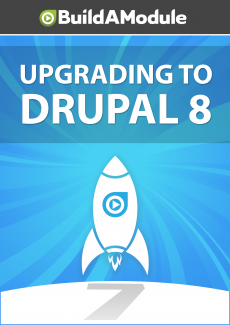 Drupal 8 also comes with the configuration manager, which we looked at earlier in order to export all of our configuration and to code, and be able to import that configuration to override configuration that's currently in the database. I'm going to scroll down a little bit more. The contact module exists in both sides but the contact module in Drupal 8 is significantly more powerful, as we saw in some previous videos. In Drupal 7 content translation is part of this larger group of core modules but it's been reorganized on the Drupal 8 page to be included with the multi lingual section here.